Music Matters | WAYO 104.3FM Rochester, NY | Way out, right here. Hosts Nick Morandi and Danny Hansen, from the Eastman School of Music Composition Department, curate, present, and discuss new music by 20th and 21st century composers, as well as music by ESM-affiliated composers. This week, works by American composer Lee Hyla (1952-2014), who blends strong rock and jazz influences with angular modernism to create a highly unique language. This week, we present the music of Italian composer and educator Luca Francesconi (b. 1956), a student of Luciano Berio, among others. This week, the second of two weeks of shows featuring music by Silvestre Revueltas (1899-1940). 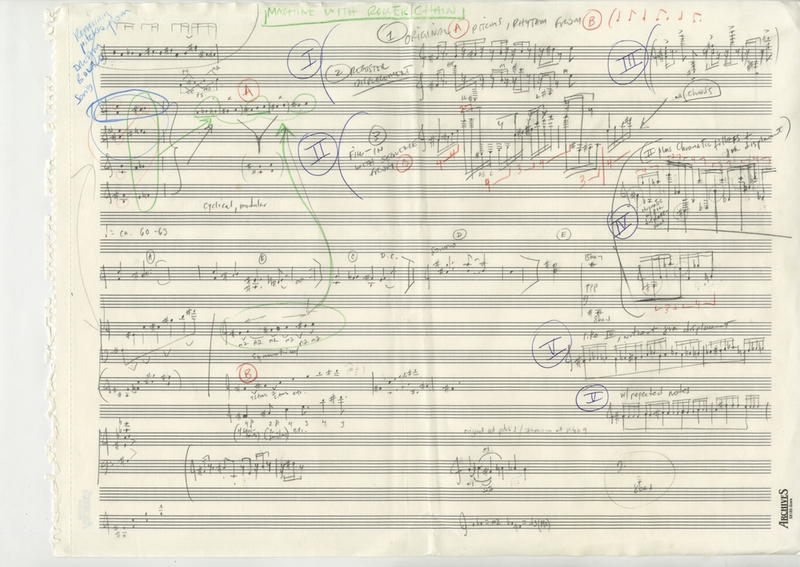 This time, two works for large orchestra, both originally composed to accompany films. The first of two weeks of shows featuring music by the great Mexican composer Silvestre Revueltas (1899-1940). This week, (mostly) arrangements of Player Piano Studies by Conlon Nancarrow! This week, (mostly) music for player piano(s) by the American expatriate composer Conlon Nancarrow (1912-1997). We also explore one of his works for non-automated instruments. Come back next week for more Nancarrow! This week, we present the work of the late Argentinian composer Jorge Liderman (1957-2008). This week, we present the final work of French composer Gérard Grisey. Also, the hosts discuss the compositional technique/school of Spectralism, which Grisey helped to engender. This week, we present the entirety of György Ligeti’s Piano Études, Books 1 and 2! This week, special guest composer and Eastman faculty member David Liptak! Please join us for a lively discussion and celebration of his wonderful and vibrant music.